Tired of classic td games? 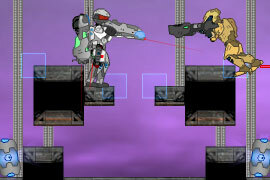 In this game, the enemies will try to reach their goal through your maze of towers! i beat level 1...and now i cant play lvl 2? wtf dude? cant i advance in this game? i beat level 1...and now i cant play lvl 2? wtf dude? cant i advance in this game? mmm...what? Why after 6 round cant play next round? Why after 6 round cant play next round? Why after 6 round cant play next round?